If anything, corruption is the single most dangerous problem the world faces today. You may not agree with me. Maybe you're thinking terrorism, poverty, unemployment or global warming is worse. The reality is these global threats started, escalated or endured because corruption thrives. Many years ago, I had thought the cause of corruption in Nigeria was an absence of legal framework to contain it. I naively lamented this scourge to some of my teachers and peers. I've been proved wrong. I was to discover Nigeria has an impressive array of institutions and laws to combat corruption. She has signed both the United Nations Convention against Corruption and the African Union Convention on Preventing and Combating Corruption. Many anti-corruption domestic laws and institutions also exist and Nigeria has celebrated 9 December as International Anti-Corruption Day every year since 2003. Yet, the scourge waxes stronger. 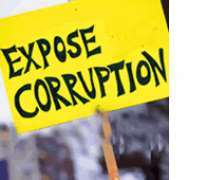 The 2012 Transparency International Corruption Perceptions Index (2012) ranked Nigeria 139 out of 176 countries, showing the massive rot in the society. Although this represents a significant improvement to the 2002 ratings which ranked Nigeria the most corrupt country, the current ranking is still alarming. Everyone is tired of the mess – or everyone claims to be. But most people aren't just sincere and there lies the real problem. Many people that currently lament the status quo do so because they are yet to be entrusted with public funds or offices. And already, they exhibit corruption in their day-to-day seemingly negligible dealings. This applies more to the youth than any other stakeholder. Many young people think of corruption as embezzlement of huge public funds by government officials. But this is far from the truth. Corruption is simply an act of dishonesty for personal gain. If you like, check your dictionary. If you like, check legal instruments. If you like, check any textbook or ask Google. That's what corruption means. You needn't be in government or public service to be corrupt. It's a virus that manifests and should be stopped in our minute, everyday acts. A child of ten years who locks the door, arrogates and drinks a toddler's milk has a corrupt mind. That's how the Iboris of this world started their career. He must be reprimanded and enlightened. For the young minds like myself, it's good to condemn corruption and berate corrupt leaders. It's better to advocate that they be prosecuted and jailed to deter others. But the best is just to start with the self. Look inward, identify the many ways you live out corruption in your dealings everyday and turn a new leaf. Saints aren't made overnight. You won't do better than the current crop of fat Toms of leaders if you become a top public officer tomorrow, except you're incorruptible from now. Don't just make noises on Twitter and Facebook. Of course you should still make the noise; they have their impacts. But that shouldn't be all you do. Start living the corrupt-free Nigeria you dream yourself. Then work on your immediate relatives and close friends. When you're a group leader for a course assignment and members of the group contribute money to carry out the research, don't 'pocket' the balance after the work is completed. It's immaterial that each person would get just N5 from the balance. What's important is that it's their money, and they should have it. Many of them won't even accept the balance, but they'll appreciate your honesty and be inspired to lead corrupt-free lives too. That's the vital first step if we want to register an important dent on the stubbornly rising profile of corruption. Empty noises won't change much. This is putting the ball in our court. Let's start living what we preach. I'll start with me. Will you start with you? *Muhammed Abdullahi Tosin is a freelance writer, writing coach and the author of Your Right To Write and Vertical Writing. Find him on Twitter @Oxygenmat. Disclaimer: "The views/contents expressed in this article are the sole responsibility of Muhammed Abdullahi Tosin and do not necessarily reflect those of The Nigerian Voice. The Nigerian Voice will not be responsible or liable for any inaccurate or incorrect statements contained in this article."